By helping them go to sleep feeling loved. Andrew Newman, The Conscious Bedtime Story Guy! I have been pondering the question…are children naturally confident? Is confidence something that children are born with or do they need to develop it as they grow? I believe that a child who feels safe to be them self, and who feels a sense of belonging in family, friendships and community, will express a natural confidence. In a loving environment, they will can communicate clearly, ask for what they want and express compassion, kindness and love. The problem is that each and every day there are small moments when their sense of safety and belonging is challenged. Perhaps a parent asserts control, or a teacher reprimands them while they are playfully being their fullest self. I need to change who I am to be safe. If a child goes to sleep carrying these erroneous beliefs, their psyche works hard at night to adapt their nature and create more safety. They wake up with a new strategy to try out. A strategy that is designed to create safety. Constantly anticipating another painful moment of separation is exhausting. Imagine that you are walking on egg-shells trying to be safe? What would that do to your natural radiant confidence? The good news is that painful moments of separation can be healed, especially when they are small daily interactions that are very normal to life. My training and experience as a healer has shown me that deep connection in the moments before sleep helps our children to integrate the experiences of their day. Connection is the healing needed for any painful moments of separation. A teacher of mine once said “All wounding happens in relationship and all healing happens in relationship too.” I believe it. Loving connection at the end of the day is the salve for the daily moments of separation and prevent the need for an egoic strategy that will create uncertainty and cloud confidence. Regularly taking 20 minutes together to tuck your children in at the end of the day creates a dedicated time and space for the nourishing, healing salve of connection. Bedtime is so much more than story time. It is the time when children unexpectedly open up and share their questions, thoughts and worries. It is the time when they, and you as parents, get very important physical touch as you snuggle into togetherness. So, gather around a conscious bedtime story, dim the lights, climb under the duvet, take some breaths together and open up with curiosity to the questions they ask. Watch how their natural confidence shines each morning when they wake. Andrew Newman has followed his deep longing for connection and his passion for spiritual development in a 12 year study of healing. He is a graduate of the Barbara Brennan School of Healing and a qualified Non-Dual Kabbalistic healer. Andrew has been actively involved in men’s work through the Mankind Project since 2006. His portfolio of work includes running a therapy practice, publishing over 2500 donated poems as the PoemCatcher, volunteer coordination for Habitat for Humanity in South Africa and directing Edinburgh’s Festival of Spirituality and Peace. Andrew believes that the last 20 minutes of every day are precious. 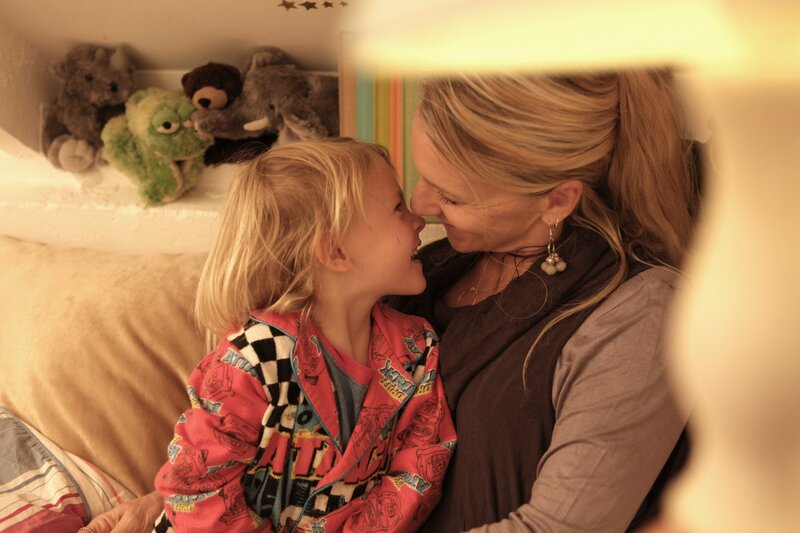 The Conscious Bedtime Story Club, is a culmination of all of these areas of experience, intended to bring parent and child into deeper connection and spiritual union with each other.